Planning a vacation to the British Isles? The land of the posh accent and everyone’s favorite royal family makes for a great place to spend a few weeks away. There’s so much to see there, especially if you’ve never visited the country before. From the many landmarks in London to the historical sites of interest in the British countryside, it’s impossible to run out of things to do there. Where should you be prioritizing your time though? No matter whether or not you’ve ever visited London, you’re almost definitely familiar with Big Ben. However, what you might not know is that the name doesn’t refer to the clock tower, but rather the bell inside. It’s been an essential part of London’s historical landscape for over 150 years now, and the locals are more than familiar with its iconic ring. Unfortunately, things have been a little quiet recently over at the Palace of Westminster. Big Ben has been undergoing renovations since 2017, and they’re like to continue until 2021. Britain’s most famous sites aren’t all in the south. Up in Gateshead stands one of the country’s most recognizable landmarks – the Angel of the North. What does it look like? The clue is in the name. It’s a 20-meter tall angel with steel wings that overlooks the county of Tyne and Wear. The wings are angled forward slightly to resemble an embrace, hence why the people of Britain – particularly those in the north – are so fond of the landmark. Fancy going for a bath in Bath? The city in Somerset is home to a well-preserved site once used for public bathing by the Romans. Over a million people flock there every year to see what the baths look like and learn their history in the accompanying museum. Although entering the water is forbidden, it’s still incredible to see how well the British have maintained the historic site. The Romans played an important part in the formation of the country, so it’s great to see a piece of their history remain intact. Who’d have thought that a bunch of stones could attract so much attention? 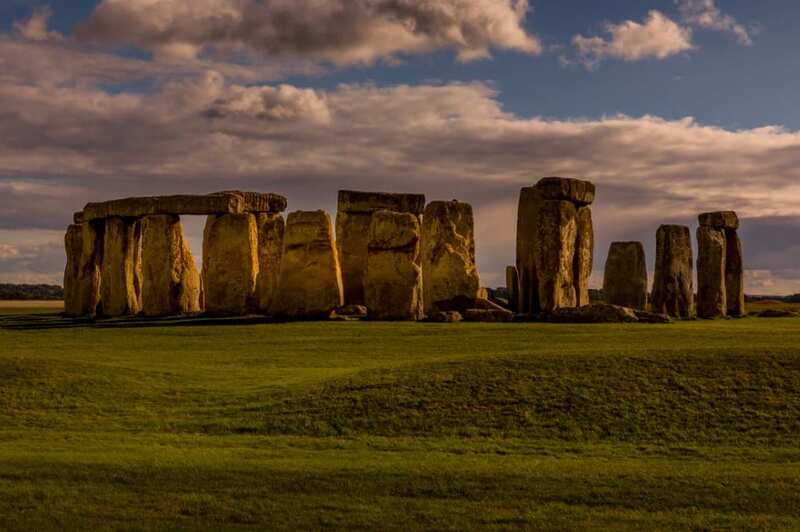 However, Stonehenge is one of Britain’s most famous sites and rightly so. It’s been around since 3000 BC and is largely connected to legend and folklore in the country. The location is most popular during the summer and winter solstices, with many attending ceremonies on these days to watch the sunrise over the stones. We hear it’s quite a sight to see. Artists of all genres have had the honor of performing in the Royal Albert Hall, the most famous concert hall in all of Britain. It was opened back in 1871 and has only grown more popular over the years, especially now that it hosts the Proms. If you’re looking for somewhere to enjoy a show while you’re in Britain, you won’t find anywhere better than this. Plus, with a location in Central London, you can’t miss it. Get booking those flights and preparing your itinerary – it looks like you’ve got some sights to see.